After qualifying Tier 1 & Tier 2 of SSC CGL Exam, you should appear for the Tier 3 Exam which is a descriptive test. The Staff Selection Commission has replaced the interview or personality test with a new level where they test writing skills of the candidates. The Exam also aims to evaluate your grammar and how you convey your ideas in a precise manner. 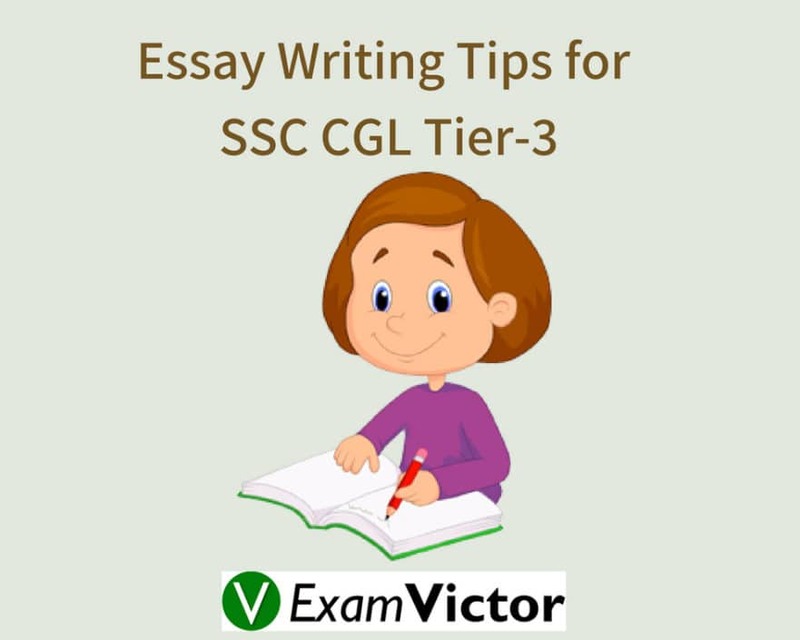 If you would like to get tips on writing a Letter for SSC CGL Tier3 click here. Here, in this blog post, we provide you the essay writing tips for SSC CGL. How to Prepare for Essays? Also, make sure you are up to date on facts. It is these facts that will help you frame and write a better essay. You don’t need to go into too many details but you need to be aware of the basics. So make sure you are still reading up on current affairs. What Should Be the Structure of Essay? SSC CGL Tier 3 Exam requires a flawless essay as they are expecting you to be above the par. You can make your essay catchier by using some quotes by famous personalities.